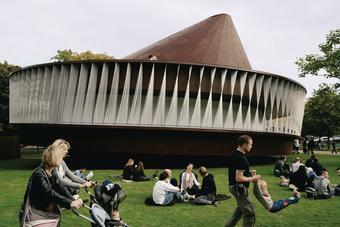 Serpentine Gallery Pavilion 2007 was co-designed by Eliasson and Kjetil Thorsen, of the Norwegian architectural practice Snøhetta. 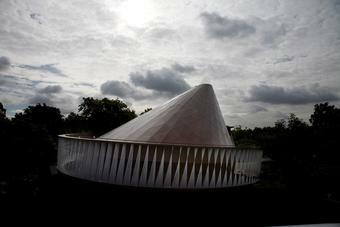 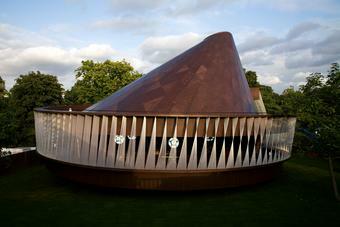 A commission by the Serpentine Gallery, the temporary pavilion was situated adjacent to the gallery, in Kensington Gardens, in London. 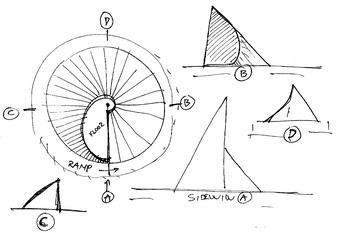 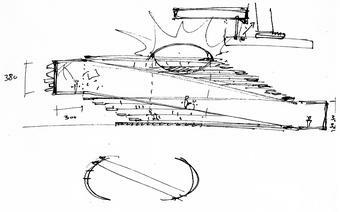 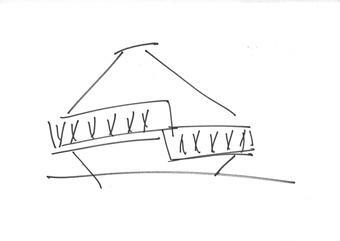 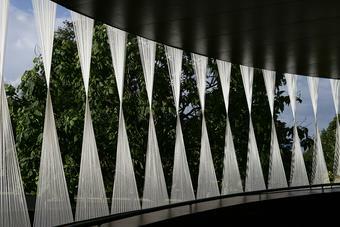 It was based on the principle of a winding ramp that linked the interior of the pavilion with the park. 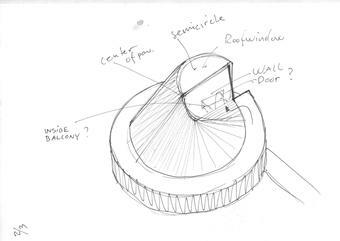 By focusing on the movement of the visitors, Eliasson, Thorsen, and their respective teams conceived a complex geometric structure that changed in appearance with each step. 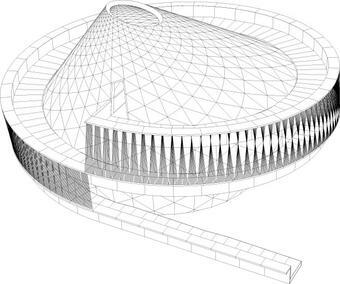 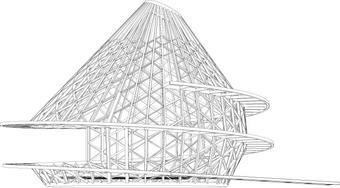 The spiraling ramp, 140 metres in length and screened in part by twisted cord louvres, generated the form of the enclosed space. 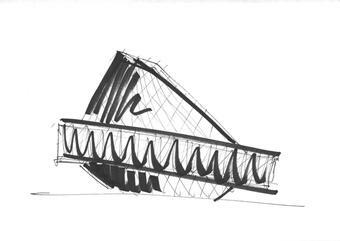 The first part of the ramp opened onto the interior, the second was enclosed but for the louvres, and the final part became an extension of the roof of the pavilion. 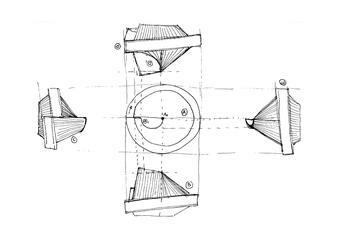 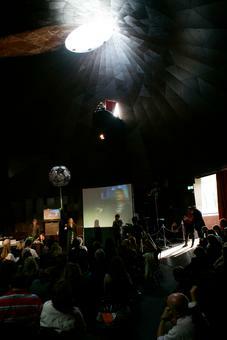 Daylight entered the interior from above via an ellipsoidal oculus. 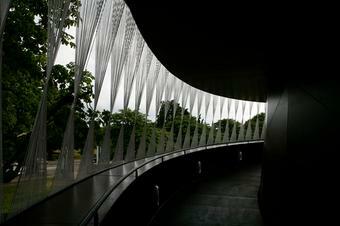 Serpentine Gallery. 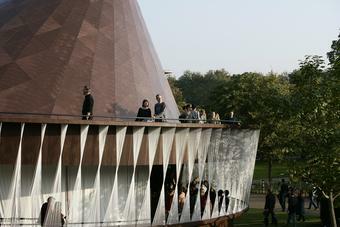 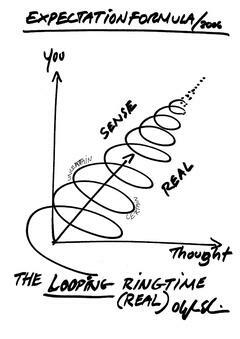 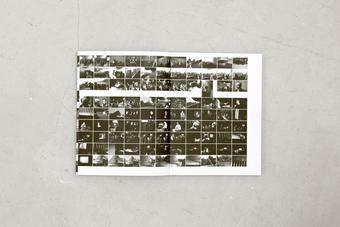 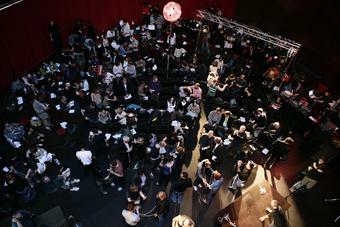 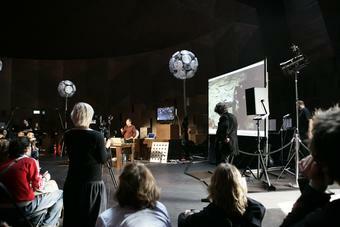 The series culminated in The Serpentine Gallery Experiment Marathon: Part 1, held in October 2007.